Tax identity theft, whether it’s with the Internal Revenue Service or your state’s Department of Revenue, Franchise Tax Board or other Taxation agency, can be a complicated issue to resolve. The IRS, in partnership with the state tax administrations and the software companies that produce at-home filing software, has announced several changes. These new measures are intended to help citizens know if there has been a change to their personal identifying information, namely in the payment method for electronic refunds. Under the new protocols, software filing companies will alert the IRS any time a mobile device is used to file more than one tax return, whenever the same IP address is used to file more than one return, or when a tax return is auto-generated instead of filed by a live person. Whether it’s in the home or in the office, make sure all tax documents and paperwork are secured in a safe, locked location at all times. Never leave financial documents in a briefcase/purse left unattended in your car. While preparing your tax return for filing, make sure to use a strong password to protect the data file. Always use security software with firewall and anti-virus protections. Do your research so you hire a trustworthy tax preparer. Make sure your tax professional is qualified and licensed. The IRS does not call taxpayers and tell them they have to pay their taxes immediately. The Taxpayer Advocate Service offers free help to guide you through the often-confusing process of resolving tax problems that you haven’t been able to solve on your own. Didn’t Receive Your Tax Return? If you think you have tax issues related to identity theft, contact the IRS immediately, even if you don’t have any evidence that it has affected your tax return. Respond immediately to any IRS notice saying they have identified a suspicious return using your SSN. You can document the identity theft by submitting a police report or the IRS ID Theft Affidavit (Form 14039). 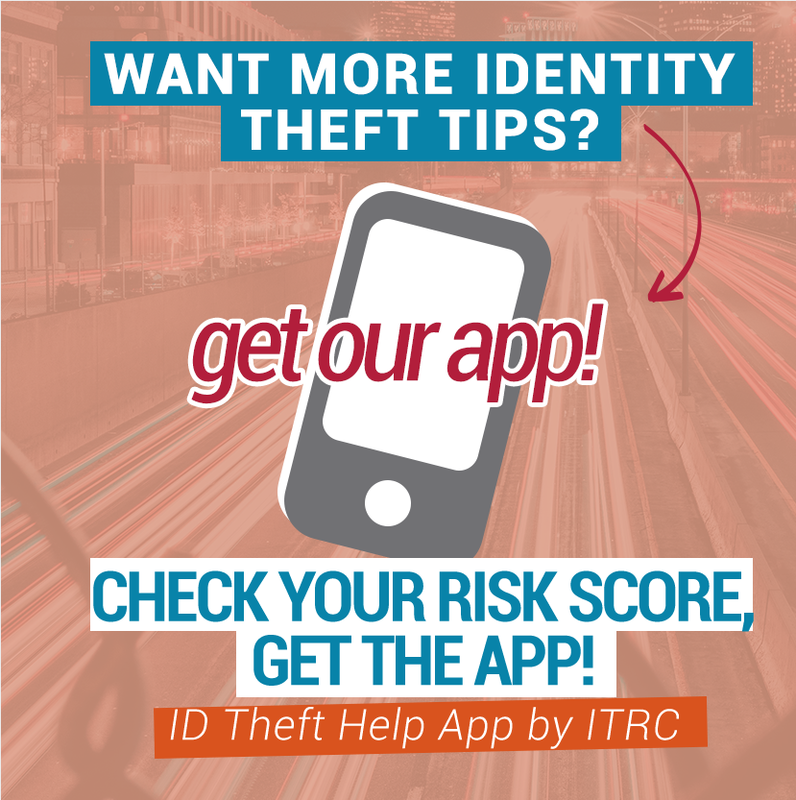 Use the ID Theft Help App to track your case.